Often referred to as the 'Japanese Disney', this description doesn't describe the variety and ambition of Studio Ghibli's output thus far. Of course, they're Japan's 'first' animation studio, enjoying the same sort of critical and commercial acclaim Disney (and recently Pixar) have enjoyed over the years. But from tales of Italian pigs through moving castles and adolescent romances, Ghibli - under the two central figures of Hayao Miyazaki and Isao Takahata - have produced a colourful and exciting filmography over the last three decades or so. The back catalogue can be slightly intimidating, although the vast majority are, in my opinion, excellent, or at least great. So for your reading pleasure here is a rundown of Ghibli's output so far, and short reviews of said filmography. This time I'll focus on early Ghibli, up until 1994's bizarre but brilliant Pom Poko. Pre-Ghibli: Just a quick mention of some important films prior to the founding of Ghibli in 1985. Nausicaa of the Valley of the Winds and Lupin III: Castle of Cagliostro are the two particularly worth noting: two of Hayao Miyazaki's much loved and acclaimed early films. The latter is a jaunty, energetic entry in the popular Lupin franchise, but the former feels like a Ghibli film before Ghibli was even a reality. The rich fantasy world and environmental themes are concepts that would be revisited in later Miyazaki films. Both films are well worth a watch. Panda! Go Panda! is another worth mentioning - directed by Takahata and written by Miyazaki, I personally haven't seen it but is available on DVD for those interested. Laputa: Castle In the Sky (1986, Hayao Miyazaki): The first Ghibli release remains a joy. The story tells of the young Pazu helping a girl - Sheeta - who falls from the sky and lands in front of his farm one morning. They eventually join forces with a group of pirates to defeat the dastardly Muska and find the mythical city in the sky. Full of Miyazaki's trademark flying machines, it has a great energy throughout. It's an adventure film to rank with the best of 'em, with memorable settings and characters. Beautifully illustrated (naturally) it's an endearing and spirited romp, with Ghibli most certainly hitting the ground running. 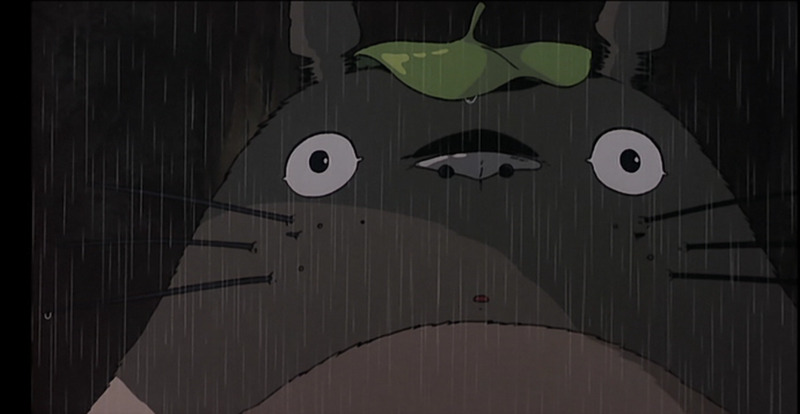 My Neighbour Totoro (1988, Hayao Miyazaki): Timeless stuff here. Tied with Spirited Away for my personal favourite of the lot, this is quite simply one of the all time great animated / family films, and I'd go further in saying it's one of the greatest films ever made. The story of sisters Satsuki and Mei and their adventures with their 'imaginary' friend: the fluffy, giant Totoro of the title. From cat buses to dust mites, it's a glorious celebration of childhood innocence and imagination, and the way children deal with a sometimes harsh reality. Close to perfect. Grave of the Fireflies (1988, Isao Takahata): Released as part of a double bill with Totoro, the two films have completely different approaches to similar themes. Set during WWII, Seita tries to look after his younger sister Setsuko after their home is destroyed and their mother is killed. It's dark stuff in contrast to Totoro for sure. It's still a look at childhood cruelly interrupted by a grim reality, but this goes much further in it's portrayal of innocence lost. It's a heartbreaking watch, and one of the best films about the very real effects of war on society and people. It has a humanity often missing in films about war, and looks at how Japan coped off the battlefield, all through the eyes of two children. Kiki's Delivery Service (1989, Hayao Miyazaki): A strange but rather likable little film. 13 year-old witch Kiki leaves home to find a town of her own, as we're assured is what witches in training are supposed to do. The films charts her progress as she sets up a delivery service that utilises her one real skill - flying. It's a lighthearted, jaunty film with a very European vibe (a romanticised Europe is another obsession of Miyazaki). 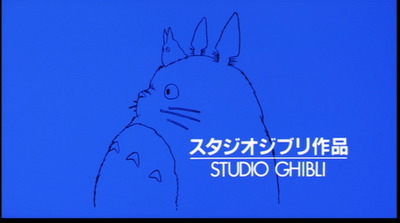 Not the best film Miyazaki has ever made, but taken as it is, it's a warm, good natured and very enjoyable diversion. 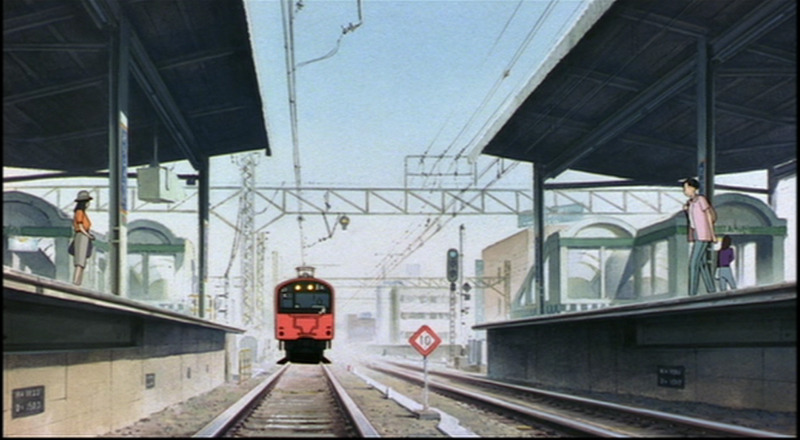 Only Yesterday (1991, Isao Takahata): Takahata's films tend to radically differ from each other, although in general tend to be more grounded than Miyazaki's flights of fancy. Only Yesterday is a film that in some regards doesn't necessarily need to be animated, but is all the more charming because it is (especially when playfully illustrating the wide-eyed excitement of a ten year old girl). A film of two halves, the first tells of 27 year old Maeko leaving the city to spend her holiday time in the Japanese countryside. The second - told in flashback form - recalls a number of interconnected but stand-alone incidents from her tenth year. Probably the best film a male has ever made about female childhood, it sparkles with a great sense of nostalgia and eye for everyday Japan. Both are extremely entertaining and thoughtful coming-of-age stories, and it's hard not to have a smile on your face when both time lines combine during the uplifting final credits. Porco Rosso (1992, Hayao Miyazaki): Another European excursion from Miyazaki. This time the focus is on Porco, a WW1 fighter pilot who has been turned into a pig for reasons I don't immediately recall, in post WW1 Italy. Not my favourite Ghibli film, as I think the Europe set films tend to feel less 'genuine' than the distinctly Japanese ones. Still a very good film though, albeit it an odd one: a love story between a human woman and a male pig is always going to come across as somewhat unusual. There's a visual lushness and a number of excellent action scenes, though, which definitely make it worth a watch. Miyazaki's romanticised ode to old Europe and European cinema. Ocean Waves (1993, Tomomi Mochizuki): The first non-Miyazaki / Takahata film from Ghibli, this was also the first film fully controlled by a younger generation of Ghibli animators. Similar in many regards to Only Yesterday and the later Whisper of the Heart, it's an adolescent love story between protagonist Taku and a girl named Rikako. Like Takahata's Only Yesterday, it's defined by a warm sense of nostalgia, this time about adolescence - the story is narrated by an older Taku who thinks he catches a glimpse of Rikako at a Tokyo train station. The hints of regret and quiet reflection are what really set this apart, feeling like a truly honest portrayal of young love. This sort of more realistic material could easily be viewed as lesser Ghibli, but this proves even lesser Ghibli is compelling viewing. Pom Poko (1994, Isao Takahata): A true oddity, and all the better for it! Takahata's spellbinding and surreal examination of Japanese folklore follows a group of tankai (Japanese raccoons) trying to stop their forest home being destroyed. The animation style is unique - the mischievous tanaki are illustrated in exaggerated cartoon form when talking amongst themselves, but realistically when in the view of humans. The result is a very odd film (Western viewers, myself included, may be slightly bemused with the frequent presence of giant testicled tanaki) but a very good one at that. It's a film bristling with imagination - the parade sequence is a particularly surreal highlight, clearly an influence on that late Satoshi Kon's Paprika more recently. Pom Poko embraces Japanese culture, folklore, rural living and environmental concerns with an infectious passion. One of the oft-forgotten gems in Ghibli's filmography, it's probably my favourite of Takahata's output. The first eight Ghibli films, as you can see, are a varied and distinct bunch. While some are slightly more successful than others, they all have their strengths and are all pretty much worth a viewing. Most importantly, it shows a studio not afraid to experiment while the directors still maintain a distinct voice. However, anyone familiar with their back catalogue knows that much of the best is yet to come. Next time I'll look at the second half of Ghibli's output - from Whisper of the Heart to Ponyo on the Cliff, with a brief look at their upcoming work as well as some of their short films and music videos. 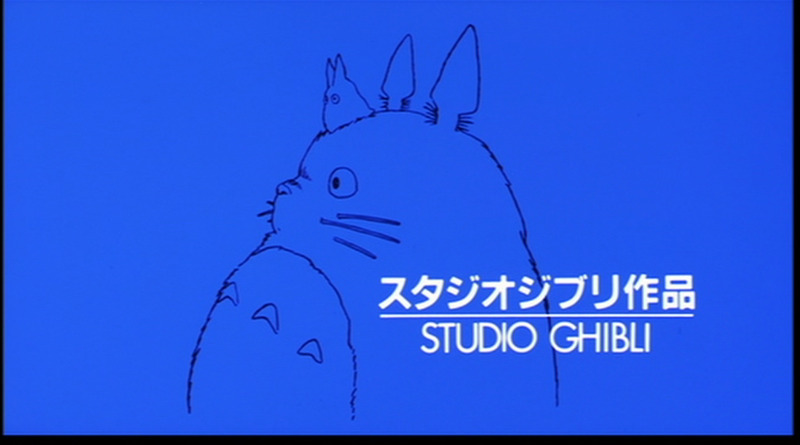 Hope you're enjoying this look through the filmography of Studio Ghibli thus far! 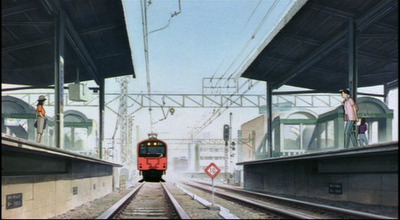 Porco Rosso as actually always struck me as one of Miyazaki's most authentic films. It has a highly personal tone as a film written by a middle-aged man for other middle-aged men. Also, it focuses heavily on flight and Miyazaki's love for flight comes through very movingly throughout the film. That definitely clarifies what you meant. I think you're correct about the romanticism, but Porco Rosso has an underlying undercurrent of cynicism as well. It takes time to include the rise of fascism, the cost of war, and doesn't flinch when looking at Porco's cowardice. But precisely because the film is about a cnyical, middle-aged pig of a man the romanticism exists in a kind of tension with jadedness and regret. These feelings naturally produce nostalgia and hence the romanticism about the days of freedom and flight now past. None of which has to do with the lack of cultural accuracy which you are correct about. I think that's less a function of idealization (which is present in many of his films as you noted) and more a function of not being as familiar with a culture that isn't his own, though the idealization makes it more apparent.